Good News for LinuxMint Users – Thar She Blows! The third MintBox will be available soon-ish. Okayyyyy, you know Orca loves miniscule computers. They don’t necessarily need to boast a beefy graphics card or a dedicated graphics solution at all. Intel’s onboard graphics are good enough by now to allow for the one or other short stint into SL, so all is good. For me a mini PC is cool as long as it can run Linux in a kinda speedy fashion. You can’t expect record breaking speeds from the MintBox Mini 2, even if it’s a bit upgraded from its two predecessors. The quad-core Apollo-Lake Intel Celeron J3455 with embedded Intel HD Graphics 500 isn’t one of Intel’s gaming or server CPUs but just a nifty energy saving chip for everyday use. So what you should and can expect is silent operation and good speed in office and mom n dad computing tasks. Perfect. As always I’m kinda hesitant to recommend those machines for everybody. They are niche products, but if you fit into that special niche you’ll get something very special and very nice. 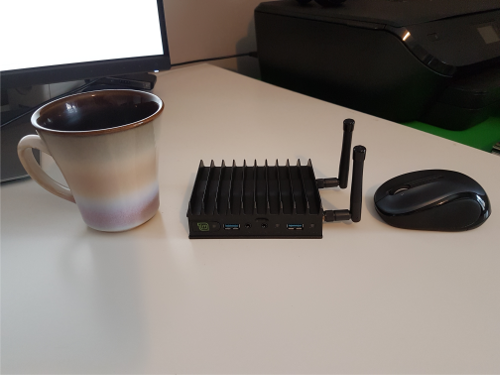 The MintBox Mini 2 and Mini 2 Pro come with preinstalled Linux Mint 19, so they are perfect for the lazy/cowardish new users or generally users who can’t find any other cheap hardware to play with Linux. And they are hassle free, like Apple Macs. Just plug in, switch on and become awesome instantly! 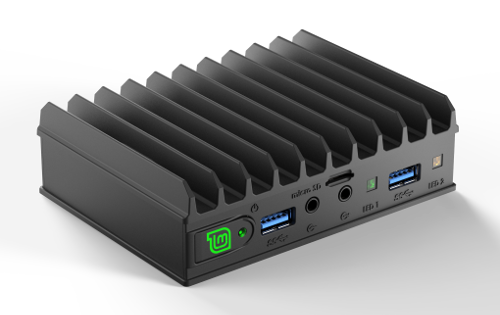 The MintBox Mini 2 and the MintBox Mini 2 Pro will ship with Linux Mint 19. They’re expected to be available Worldwide along with the release of Linux Mint 19, around June 2018. Adorable hardware made in Israel by the fanless experts at CompuLab. too bad you can’t socket a real CPU in there, the SSD is easy enough to upgrade to some reasonable level of storage. Yes, it’s prolly one of those M2 thingies or whattheface. What I really like about the Mint boxes, from the first one onward, is the ease of purchase. No need to scramble for a special supplier or anything, just order from Amazon, alongside with your next shipment of whatever series of teenie novels (soon on Netflix) is hip right now. Nobody tell me Linux is hard to get and only for absolute crackerdoodles.